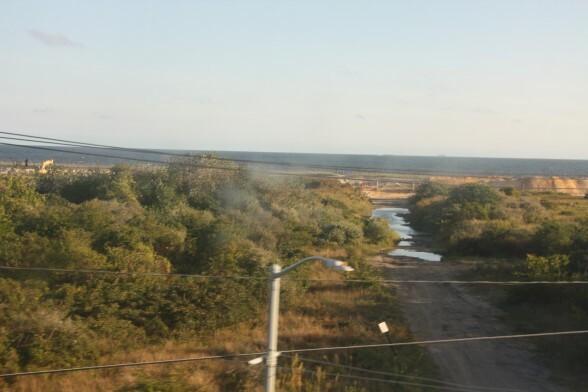 If you take the A train from Manhattan to visit that interesting island, the ride takes a little over an hour, and parts of the trip look formidable. 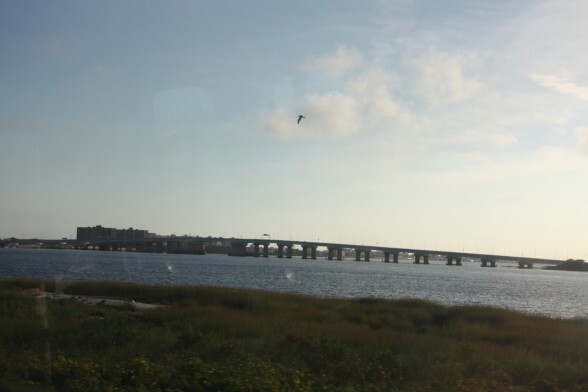 If you ask the majority of New Yorkers if they have ever been to Far Rockaway, the answer will overwhelmingly be that they haven’t. Possibly because I was born abroad, when I moved here a decade and a half ago, I visited every spot I could possibly visit in this enormous city. (In fact, I visited a friend living there just three weeks prior to Hurricane Sandy in 2012; later he told me that his ground floor was flooded and completely damaged during the hurricane.) Earlier this summer, a Brazilian chef opened a restaurant on that low island: Beach Bistro 96. When my friends and I went to this new place at the end of the summer, I was a little worried about eating Brazilian food, which I consider slightly too heavy for the hot weather. But we decided to dine there after reading its New York Times review, thus venturing our way out of Midtown Manhattan on the A train to Far Rockaway. The trip is actually quite nice when you’re hanging out with friends. 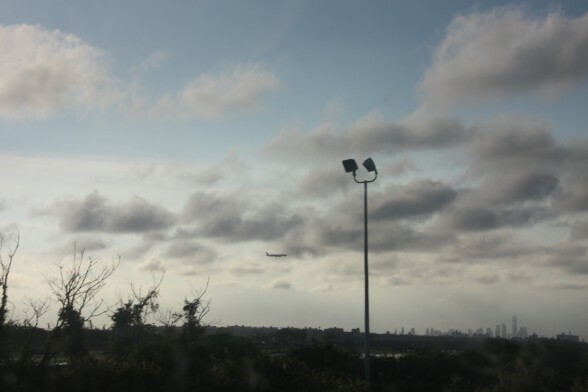 Right past John Kennedy Airport, there’s a pleasant ride above water, with amazing views of the airport where airplanes land and take off, plus the fascinating landscape all around the area, including a distant view of Lower Manhattan with the One World Tower standing tall compared to its surroundings. We spoke with the man who runs it, former model Brazilian restaurateur Carlos Varella, who gave us an interesting insight on light beach food, plus the changes his restaurant will undergo on cold days: They will have to add glass windows for efficiency once winter strikes, if it really happens in this year’s season. 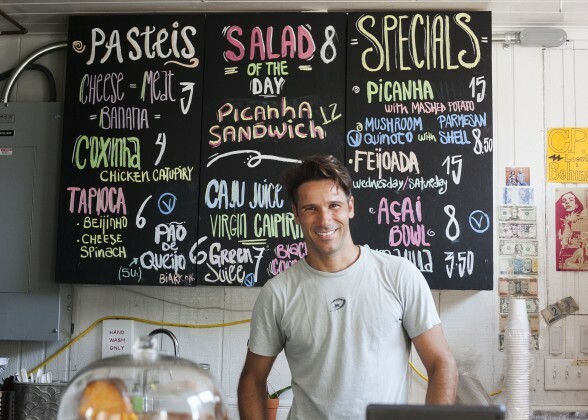 His brother is also from Santos, a coastal city located in the wealthy state of Sao Paulo–when I called to make a reservation for three I figured he was struggling to communicate in English, so I gave him a helping hand by speaking Portuguese: Despite the fact that he’s still learning English, he does not disappoint with his skills in the kitchen. 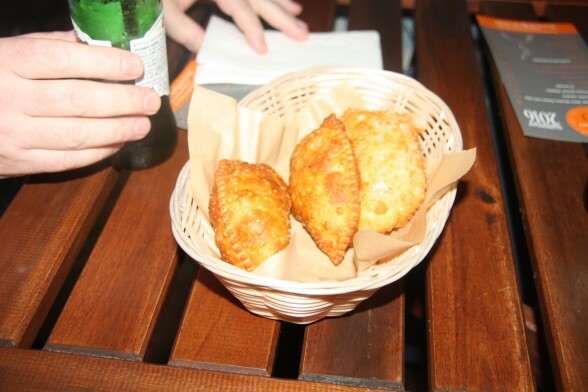 A very interesting aspect to this restaurant is that it has light Brazilian food which, of course, suits the summer menu. 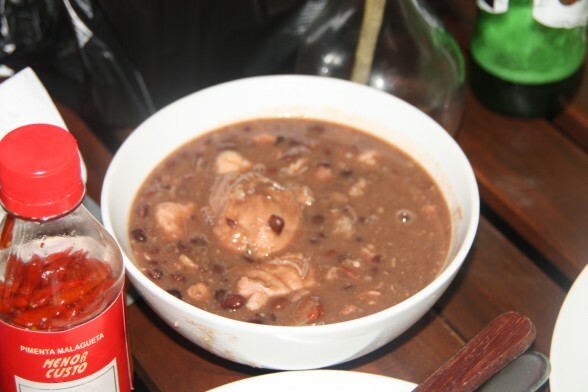 Their feijoada-a pork and beans stew-must be a light dish for the summer. 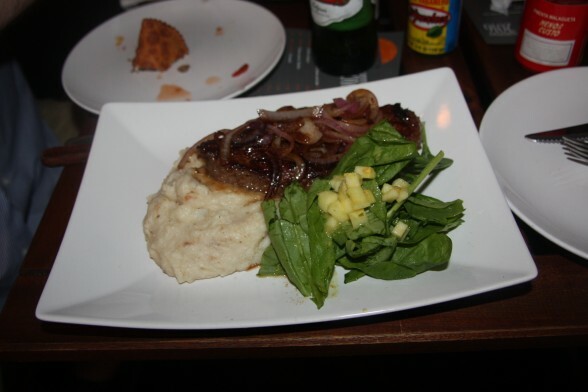 Other traditional Brazilian dishes are in the menu. Also, they have just released a new menu for this fall/winter. Because this little restaurant doesn’t have a liquor license yet, you can get beer at Delli & Grill Snack Paradise right near the 96th Street subway station. One thing that will surprise you–or perhaps not anymore after reading this review–is the price. You can have a feast at very low cost, compared to Midtown Manhattan prices, which is known as New York prices for tourists. Enjoy that feast, it’s one of a kind you won’t regret. 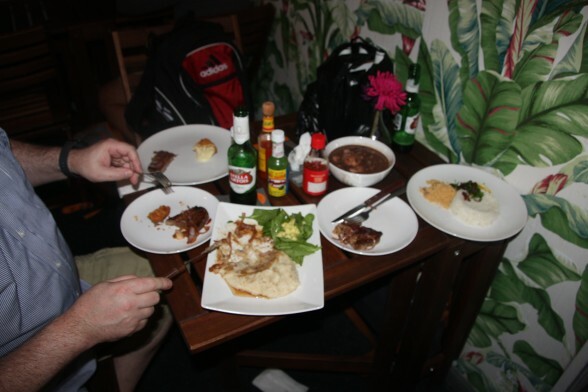 A lighter version of traditional feijoada is in the menu. 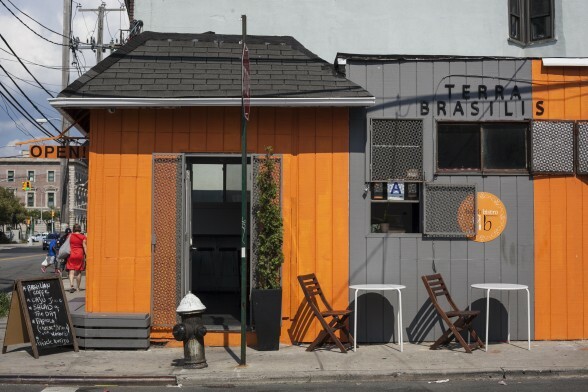 The picanha sandwich or plate alone is worthy a trip to Far Rockaway.